Café to Café Grand Tour: Ride to eat, eat to ride! 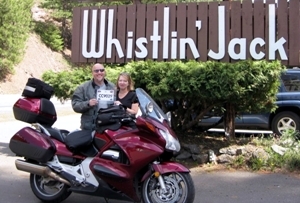 Do you enjoy long rides on scenic roads and great food along the way? If so, you're gonna love the Café to Café Grand Tour! 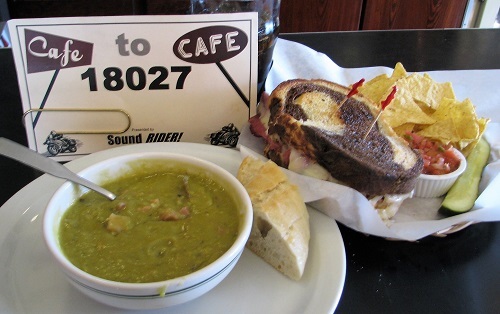 The Cafe to Cafe is an annual grand tour of 15 restaurants in the Pacific Northwest. The restaurants, a.k.a. "targets," change each year. Riders are provided a list of the restaurants and may ride to each one any time they like between March 1st and September 30th (spring & summer). Once there, all that's needed is a photo of the rider with their bike and signage in the background identifying the location. You'll email your photos in as per the guidelines in your registration package. Those completing the entire list of 15 locations are awarded a special, customized certificate to certify their bragging rights. Dining at the locations earn riders bonus points which are calculated into your final score. You'll send your bonus point receipts to us in September through the US mail. Photos above and below: Ride it solo, or enjoy it two-up with your partner. 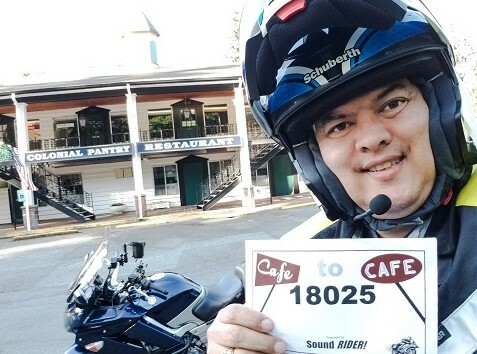 Included in the list of 15 restaurants are details about nearby roads and scenery worth a ride and/or look while riding in the area. While not necessary, these tips make the ride that much more worthwhile. 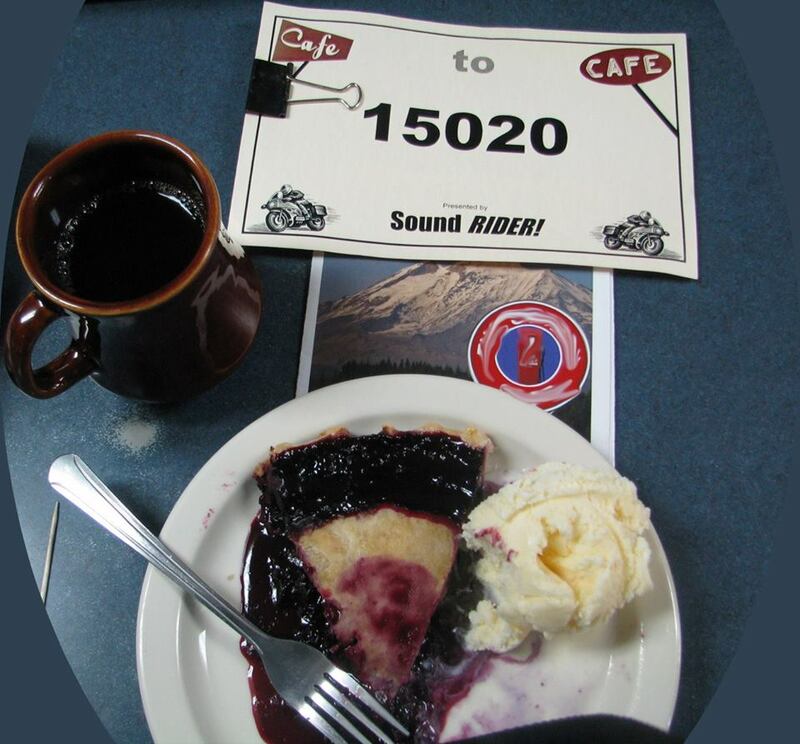 ANYONE with a street legal motorcycle, motorcycle endorsement, and insurance specific to their bike (required by Oregon and Idaho State law) can participate in the Café to Café Grand Tour. Over the years, hundreds of individuals have participated. 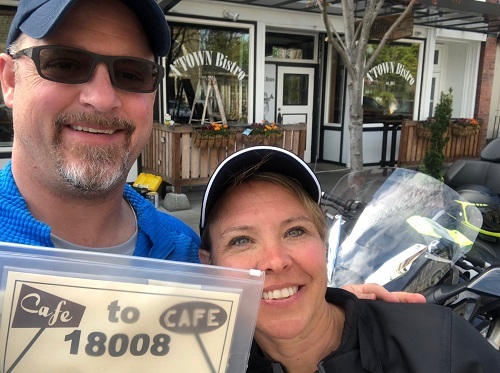 Many do it solo, but the event can make for good competition internally among members within riding clubs that enjoy high mileage adventure and fun road games. The tour is also a favorite with riders participating in other grand tours at the same time. To play, simply register online using the link below. Once your registration is received, you will be sent a number card via US Mail and the list of this year's restaurants. If you're participating in other Sound RIDER! events this year, these locations are noted by event so you can hit them while on the route. Always be sure to read the updates below before each ride as they change often. There are 15 regular cafes this year scattered around Washington, Oregon, Idaho and even one in Montana. There are two bonus locations, both located on Vancouver Island, B.C. Some of the cafes are located deep in the woods. All have really nice roads you can enjoy nearby. We've included a Bar-B-Que spot that has really flavorful meats and awesome sauces. A true rarity in BBQ joints. Several locations have very nice water views. One is located on a lake at 5,000'. Another at 4,208'. Some have nice mountain views. One location is located in a historic seaside inn that was recently renovated. Several locations are known for their trout dinners. If you love pie, we found a good one that features multiple options each day. One may be home to snakes, or so the name would imply. Advance purchased packets will ship 2/27. Packets purchased after that will witjhin three days of purchase. Passport Readiness: Since we typically include a location in BC and/or Alberta, be sure your passport is in order. The Café to Café Grand Tour. Ride to Eat, Eat to Ride and so much more! CLICK HERE to order your registration package now! 4/2 - The latest standings have been posted. CLICK HERE. 3/26 - The correct phone number for #5 is (541) 366-2200. Please adjust your location sheet accordingly. 1/2 - Packets for pre-registered players will ship 2/27 for arrival 3/1. "Thanks for putting this on. I have been on lots of these types of photo tours in the past, but this is the first one that my wife has been excited about accompanying me on. We won't likely make it to all of them but we'll sure have fun getting to the ones we can."